Captain America and Iron Man Pop Salt and Pepper Shakers | Let the seasoning war begin! Let the seasoning war begin! Bring your favourite Avengers to the table in what might be there most successful endeavour yet! 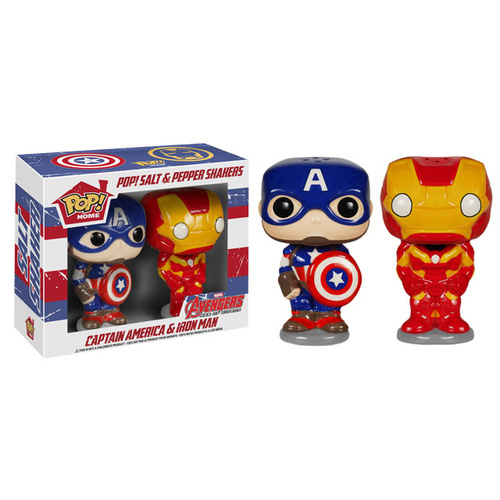 Let the seasoning war begin as your Captain America and Iron Man Salt and Pepper Shakers add some flavour to your next meal. Whether you simply display these iconic superheroes or use them to spice up your kitchen, they're the perfect gift for any Avengers collection!